The Cardicom ECG is one of the most accurate PC-based 12 Lead ECG on the market. It allows you to perform resting ECG anytime, anywhere with unparalleled ease-of-use by connecting to a Windows based PC or a laptop. Simply connect to your favorite PC or Laptop and connect the leads to the patient to start your assessment. Mobile, Versatile and Cost Effective. 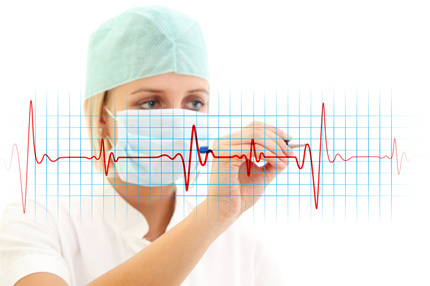 Cardicom ECG boasts an advanced algorithm that produces accurate results. The quality of the hardware and the software is comparable to the best in the industry and often time exceeds the quality found in other systems. Advanced capabilities include true, 12 lead ECG computer analysis and interpretation, P-wave signal averaging and new Gender Specific criteria for identification of arrhythmia. When compared to other products in the market, when Cardicom ECG is tested against them, Cardicom ECG was found to be consistent in producing a perfect interpretation every time. • Save a lot on your thermal paper mounts, since Cardicom ECG outputs to a normal printer. Use A4 graph or normal paper to print the results. Better still save it as pdf or export into your EMR making Cardicom a very versatile inexpensive solution to run. • No more filing of thermal paper mounts. Save the results as JPEG or PDF and email them instead of posting them. • Far less expensive than traditional stand-alone EKG terminals.